Home/Topical Analgesics/Vitaminerals Products/Cryogel Aroma Therapy Formula, Lavender Breeze 4 oz. 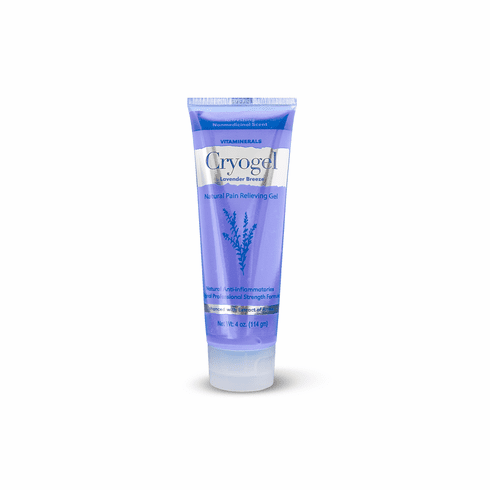 Cryogel Aroma Therapy Formula, Lavender Breeze 4 oz. Provides maximum relief and combines the cooling effects of menthol, camphor, arnica and witch hazel extracts.The deep penetrating delivery system of MSM with the soothing benefits of lavender, chamomile and passion flower. SOLD TO HEALTHCARE PROFESSIONALS ONLY.